I like this style of tables but I am the only one in my family that feels that way about them. Do you have a blogpost on the clamp storage rack behind the table? That is a neat solution for storing a lot of clamps. I only have a couple of pictures and comment on the rack. If you go on the search feature and type in clamp rack it will take you right to it. I got the idea by typing clamp racks into Google and looking at the images. Someone out there may have more details. If not let me know and I will take whatever measurements and pictures you want. The table is looking great! 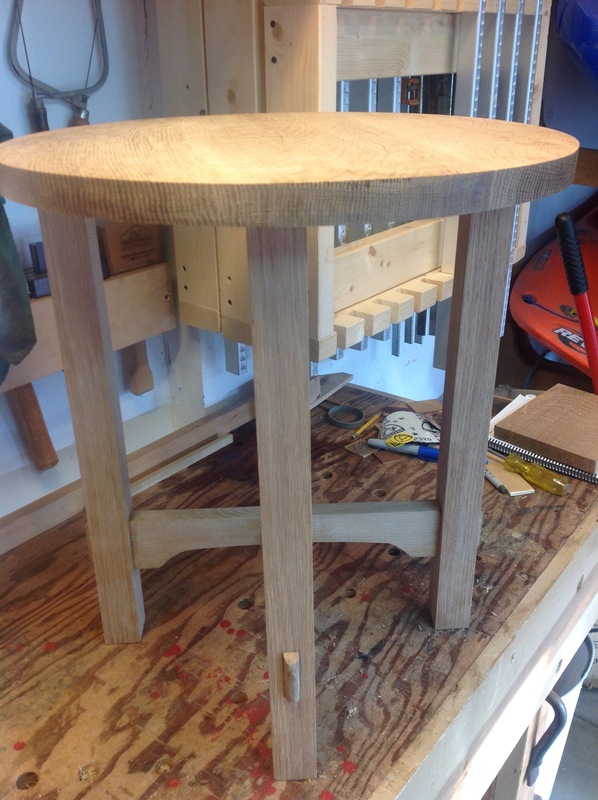 Router and arm works well but like you said….. “but sure was a simpler more peaceful process.” Looking good! You’re right. Haven’t picked up or thought about my router for a long time, that would have worked well.